The Miami Heat will begin their 30th season. I was five years of age when the franchise started to play. Head Coach Erick Spoelstra enters his 10th season with the franchise as head coach not including his days as a video coordinator. Now, I am writing columns for my hometown team for the fourth straight year, covering the NBA for my 10th season. I am ready for the season to begin. Hassan Whiteside and Joel Embiid are officially ready for the NBA season to begin. Heat don’t play the Philadelphia 76ers until February in case you were wondering. Let’s start this 2017-18 Miami Heat preview with the Rodney McGruder injury. McGruder played in a team-high 78 games last season for Miami, starting 65 of them. He completed successful surgery to repair a stress fracture in his left leg. He never backed down to any opponent just as veteran “Heat lifer” Udonis Haslem. McGruder averaged 6.4 points per game last season, narrowly missing getting voted onto the All-Rookie team. He will be missed on a team he was part of that made one the most historic runs to end the second half of the season. The Heat did not catch a whale in the offseason. However, they did keep some tuna fish along with finding a new one. Heat will invest 35.3 million in Dion Waiters, James Johnson and Kelly Olynyk. You don’t usually get second chances in investments however this is what the Heat front office is doing. Give this team a second chance to make the playoffs when the door shut in their face last season. These players are locked in at least through 2020. Waiters and Johnson redeemed their careers and put up their best numbers. Waiters did only play 46 games last season however he gets a pass because he was part of the big picture that made the team special previous season. 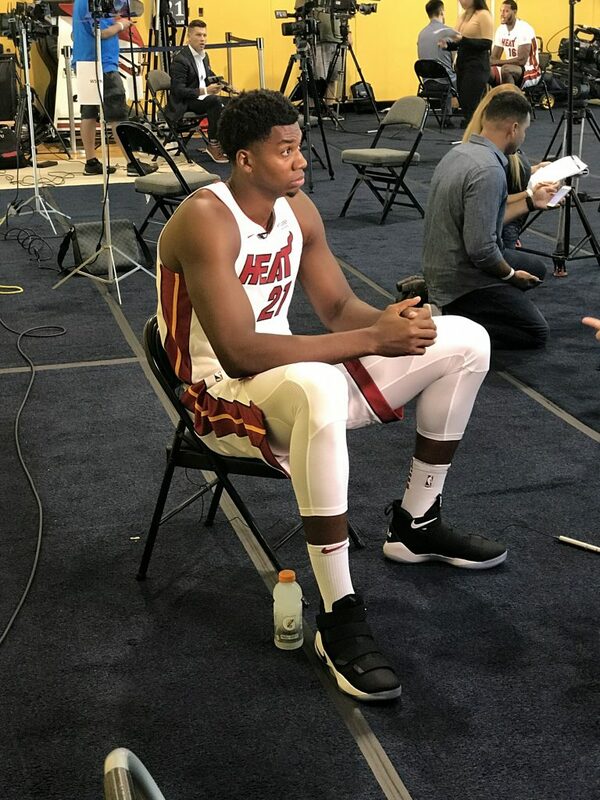 Johnson bought into the Heat culture changing his diet, accepting his role making him average double figures for the first time in his career. 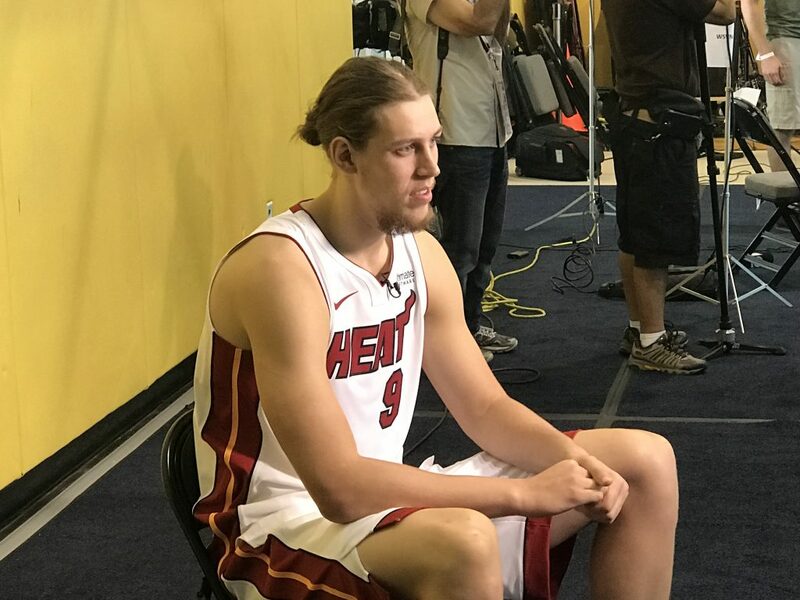 Olynyk is my unicorn on this team. He can prove many experts wrong by keeping his play consistent. The Heat is the environment for him to do it. Miami had wounded bodies walking around the first half of the season then went 30-11 in the second half catching the attention of the NBA finishing 41-41 and half a game out of making the playoffs. Goran Dragic not only is the right point guard for this team but showcased this summer in Eurobasket why this team will give you their all every time they step on the court. The “7-11” combo with him and Waiters can play with the best backcourts if healthy. Whiteside can be a special defensive player of the year candidate every time he steps on the court the way he protects the rim. The effort between getting back on defense after an offensive possession is my concern. The natural and gifted ability is there. The will to win every night has shown some signs, but consistency along with the leadership role Spoelstra has allowed him to illustrate on his own will be part of his legacy. Justise Winlsow’s defense is essential to this team. There is nothing he can not do on the defensive end. Finding his offense is valuable to the team. Spoelstra picks and chooses his spots where he can use him offensively, but there are not many options. This will be the season determining how long this experiment will last. The team will make the playoffs, it sounds cliché but if healthy. I will not say a top-four seed. However, I will not be surprised if they have home court advantage in the first round. 5th seed is perfect. 6th seed gets a pass, yet, this team healthy and it’s coaching staff a 7th or 8th seed is a disappointment when the playoffs come around. The Heat are one of the few teams like the Golden State Warriors who are returning with a group intact and together even though they had key injuries last season. Health is the wealth of this team. Last season the talk was of them being no names and getting to know each other. Leading them to one of the most significant NBA runs. Continuity will not be an issue this year. This team knows their roles. Identifies the impact individually with their positions on the court.